Hide this Project (Lavanya Apartments) Discover properties in other projects by hiding the ones that doesn't interest you. You won't see them in your searches further but you can unhide anytime later. Hide this Dealer (P mukherjee) Discover properties by other dealers by hiding those whom you have already spoken to. You won't see them in your searches further but you can unhide anytime later. Hide this Dealer (Subir Roy) Discover properties by other dealers by hiding those whom you have already spoken to. You won't see them in your searches further but you can unhide anytime later. Hide this Dealer (Sudipta Mukhopadhyaya) Discover properties by other dealers by hiding those whom you have already spoken to. You won't see them in your searches further but you can unhide anytime later. Hide this Dealer (Madhumita Majumder) Discover properties by other dealers by hiding those whom you have already spoken to. You won't see them in your searches further but you can unhide anytime later. Hide this Dealer (Mainul Islam) Discover properties by other dealers by hiding those whom you have already spoken to. You won't see them in your searches further but you can unhide anytime later. Lavanya Apartments in Rajarhat, Kolkata East by Lavanya Projects Builders is a residential project. The size of the Apartment ranges in between 860.0 sq.ft. 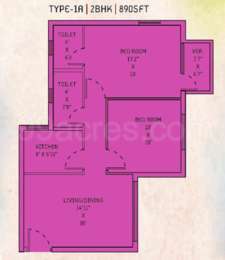 and 1356.0 sq.ft. Lavanya Apartments price ranges from 26.66 Lacs to 42.03 Lacs. Lavanya Apartments offers facilities such as Gymnasium and Lift. The project has indoor activities such as Dart board. Bank loan approved from Tata Capital and Indiabulls. It is a ready to move project with possession offered in Aug, 2016. The project is spread over a total area of 2 acres of land. Lavanya Apartments has a total of 6 towers. The construction is of 5 floors. An accommodation of 225 units has been provided. Lavanya Apartments brochure is also available for easy reference. The addition of townships in the residential real estate market of Kolkata has boomed the real estate scenario. The capital city of West Bengal defines oldest and the richest traditions of India and it is reflected in the real estate developments of the city. Kolkata has emerging real estate trends where the residential real estate is on a spree. Investments from renowned builders, the increasing demands from the buyer and supporting infrastructural developments have helped the realty market witness a positive bend. Where is Lavanya Apartments located? Rajarhat, a prime residential locality for house seekers in Kolkata East. What is available flat size in Lavanya Apartments? Flat sizes in the project range from 860.0 sqft to 1356.0 sqft. 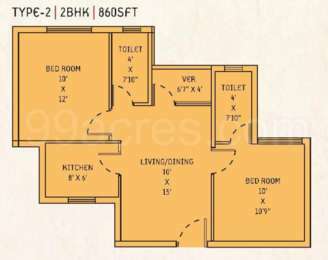 What is the area of 2 bhk in Lavanya Apartments? The size of a 2BHK unit in the project ranges from 860.0 sqft to 890.0 sqft. What is total area of 3 bhk in Lavanya Apartments? 3 BHK units in the project are available in a size of 1150.0 sqft to 1356.0 sqft. What is the area of Lavanya Apartments?The total area that the project occupies is 2.0 Acres. What is price of 2 bhk in Lavanya Apartments? 2 BHK apartments in the project are available at a price of Rs. 2550000 to Rs. 3500000. Main door entrance polished flush doors with one side teak veener. Locks at all doors godrej lock equivalent with night latch.